The race was won by Mid Devon CC’s Conrad Moss in a time of 49:37, yielding an average speed in excess of 30 mph and just shy of his own course record. Taking second and third spots were MDCC espoir rider Matt Langworthy (50:15) and Gary Chambers (50:30) from Farewham Wheelers. Revo Racing were well represented in the top half of the result standings, with Matt Slater and Liam Bard taking 4th and 7th places respectively. 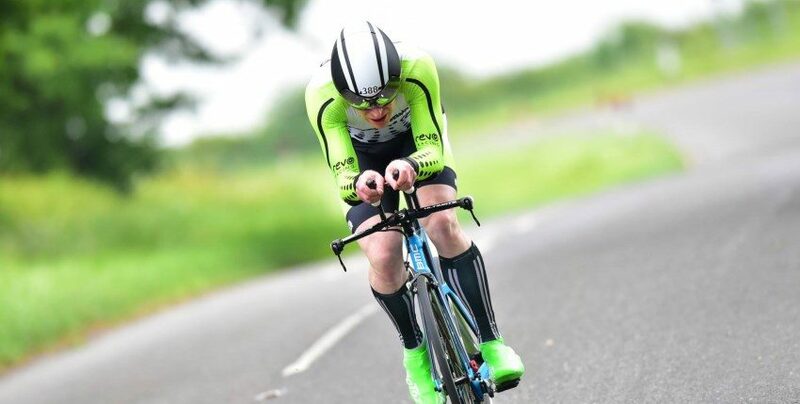 Liam, John and Martyn put out their best ever 25-mile Time Trial performances and recorded for themselves a personal best time. Full Results can be obtained from the Cycling Time Trials website.